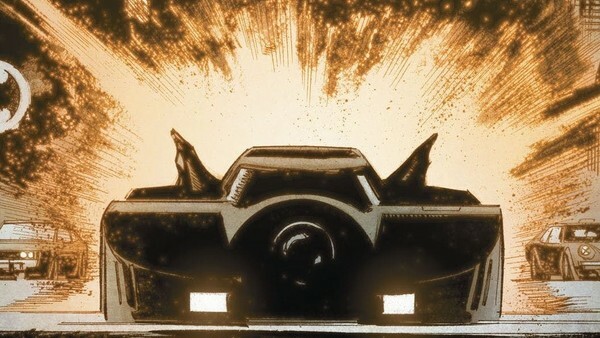 When it comes to comic book vehicles, you won't find a ride more iconic than the Batmobile. Batman's signature car has been tearing up the streets of Gotham City for nearly 80 years and much like the Dark Knight himself, it's popularity has continued to grow. With its long sleek body and bat-like tailfins, the Batmobile is, without a doubt, one of the most instantly recognisable automobiles of all time. Since its official introduction into DC Comics in 1941, it has undergone countless transformations as it changed with the times - each variation rocking its own unique look while paying homage to its previous incarnations. But it didn't just make its presence felt within the pages of the comic books; it also came to life on our screens through multiple film adaptations, TV shows and video games. From spaceship-like racing cars to sleek beauties, the vehicle has seen so many reinventions that it's almost impossible to pin down a definitive Batmobile. With that in mind, let's take a look back through this iconic vehicle's rich history in the pages and on the screens to narrow down its ten best variations.